Do you have a problem with ants in your home or at your place of business in Midlothian? Ants are easy to recognize and can be difficult to eliminate once they have invaded a location. Attracted to any form of food, ants will invade and contaminate food supplies quickly. In addition, among the many species spread across North America, several types of ants will not only significantly damage a structure in a relatively short length of time, ants have been known to also cause troublesome health issues as well as being an unsightly nuisance to property owners in Midlothian. Ants form colonies headed by a queen and her workers. They develop quickly into large nests formed along the openings and crevices of a property. The Berry & Yates Pest Control pest control experts are trained and experienced to quickly identify any ant species that can threaten the well-being of individuals and the overall structural integrity of your property in Midlothian with a customized pest control program for their quick removal. 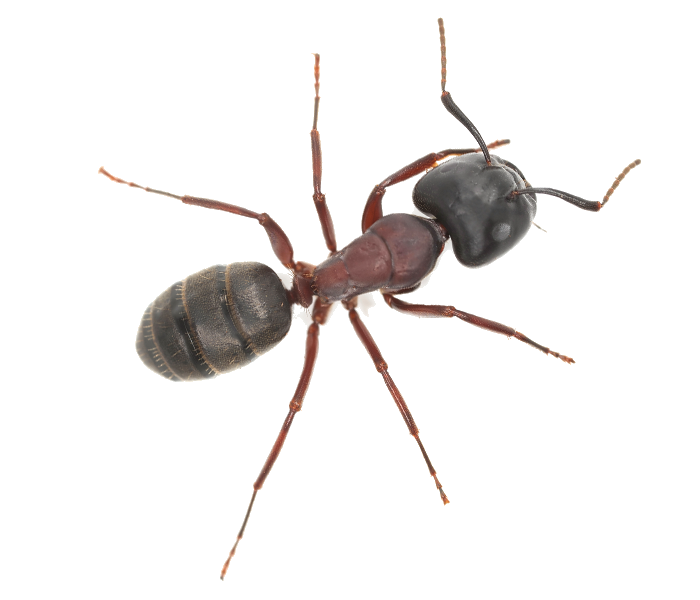 Light brown or red in color, the pharaoh ant is very small in size and often difficult to detect. Nests are usually found in inaccessible areas that are prone to high levels of moisture. Pharaoh ants are capable of spreading bacteria to food supplies and normally require experienced and systematic pest control methods from professionals. Avoiding the food supply and preferring wood instead, carpenter ants look for moist areas and chew away at wood and other structural components including electrical cables!! Small piles of sawdust almost always indicate the presence of carpenter ants that systematically make their way through a home or business to cause significant damage. Ant infestations are also frequently found to be the cause behind various individual health concerns ranging from allergic skin reactions to continuous headaches and abdominal cramps. Consider a consultation with a Berry & Yates Pest Control pest control expert to address unexplained health concerns. To learn more about ant infestations and how to get eliminate them safely from your Midlothian location, contact a Berry & Yates Pest Control specialist for a free assessment. Keep foods tightly sealed and wrapped and clean up any crumbs or spills promptly. Keep pet food dishes out only at mealtime. Ants leave pheromone trails when foraging for food which allows them to keep track of where they’ve been and ensures that they do not waste time searching the same area. Any visible ant trails can be sprayed with vinegar and water, or window cleaner to eliminate pheromone traces which help them organize foraging. Caulk and seal any visible cracks and crevices. An Ant can lift 20 times its own body weight making it a very persistent and determined pest. Some queen ants can live for years and produce literally millions of offspring. When the queen dies a colony does not normally survive. Worker ants cannot reproduce. A colony will pick up and move quickly if they are severely threatened. All information provided is provided for information purposes only and does not constitute a legal contract between Berry & Yates Pest Control and any person or entity unless otherwise specified. Information is subject to change without prior notice. Although every reasonable effort is made to present current and accurate information, LinkNow™ Media makes no guarantees of any kind.